What weekend entertainment option only has 368 facilities in the United States and is usually accompanied by feelings of nostalgia and simpler times? Drive-in movie theatres, of course! It’s true that they are a dying breed, but if you have one near you, it is definitely something you will want to check out. Why should I go to the Drive-in? Why shouldn’t you is a better question. 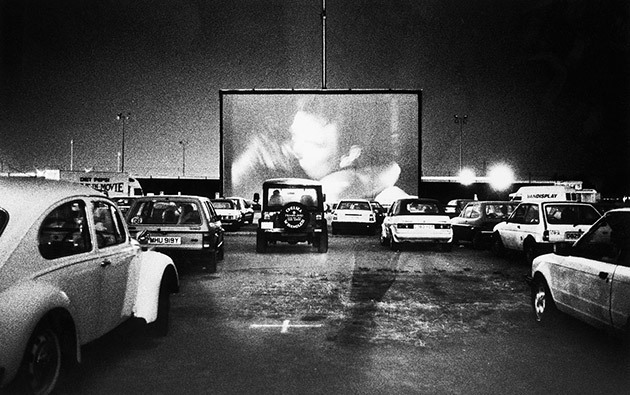 For starters, drive-in theatres are usually cheaper than a regular movie theatre. Not only that, but many of them play two movies back-to-back for the same price. What a bargain! If the price is not enough of a reason for you, drive-in theatres are also more comfortable because you get to sit in your car. But I like movie theatre seats. Okay, it’s true; some movie theatres do have very comfortable seats. However, along with those comfortable seats come the noises of everyone around you. Unless you are particularly fond of crying kids and people chomping popcorn, the drive-in is a much better choice for an all-around enjoyable experience. Plus, if you are the one with the crying kids, you will be very glad to be separated by the doors and windows that cars have to offer. If Drive-ins are so great, why aren’t there more of them? Drive-ins were the place to be in the 50’s and 60’s. If you were a kid in these eras there is no doubt that you remember climbing into your backseat to enjoy the latest family flick while sneaking in all of your favorite snacks. Unfortunately, with the price of land increasing and greater technologies being introduced at traditional movie theatres, drive-ins just couldn’t keep up. If you want to keep drive-ins around, the best thing you can do is actually go to them. There are drive-ins located in pretty much every state. Texas actually has 16 of them, including the Town & Country Drive-in located in Abilene and the Fiesta Drive-in found in El Paso. So gather up your friends or your family and head out to the drive-in this weekend. Don’t forget to make a pit stop at the local convenience store to pick up your favorite snacks, because sneaking in your own food is the best part. While the movie is playing, feel free to reminisce about simpler times when drive-in theatres were the only way to watch a movie. Ah, those were the days.